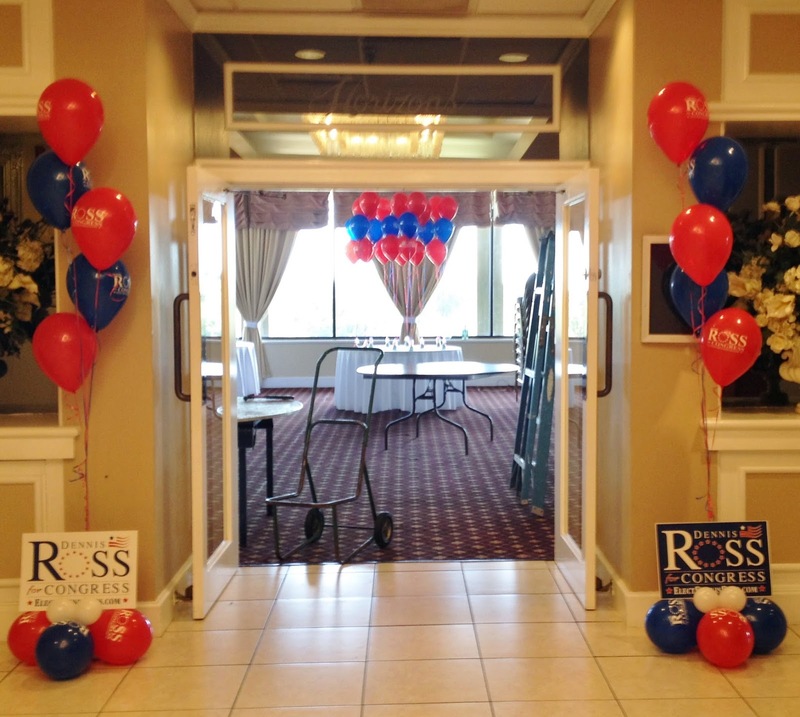 Party People Celebration Company Created balloon decor for Dennis Ross Celebration Party on Election day. 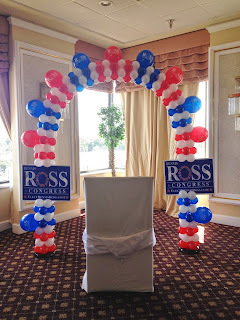 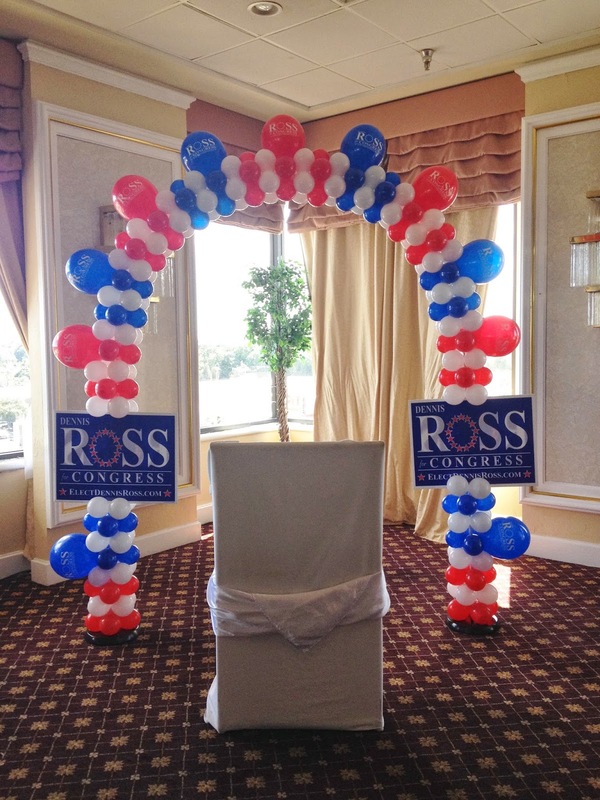 Arch created with Logo Balloons, and campaign signs. Helium balloons ready to go out on tables for centerpieces! 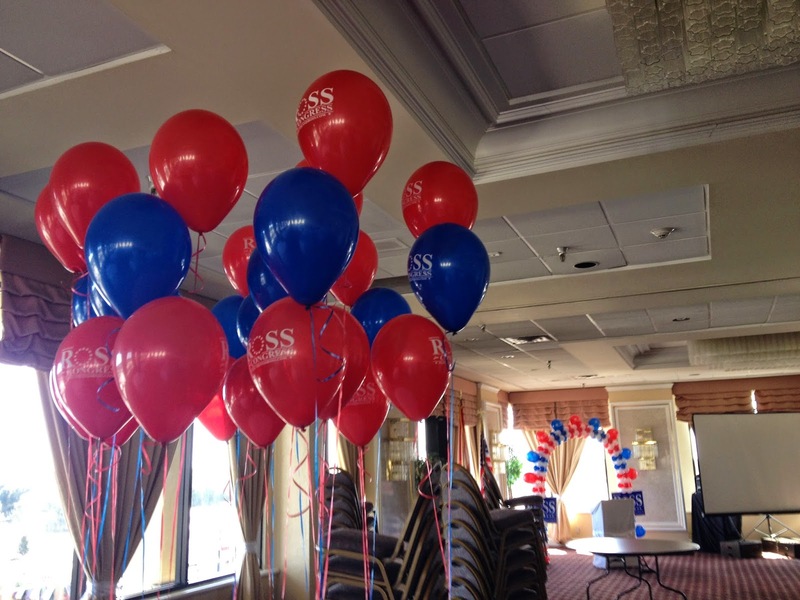 Contact Party People Celebration Company to create decor for your special celebration! 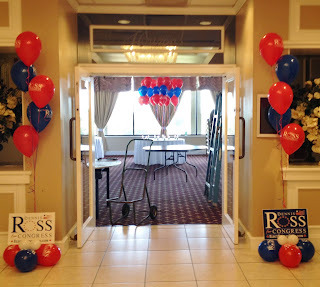 Based in Lakeland FL, serving Central Flroida from Coast to coast!